Old Testament - Today in Genesis chapter 3 we read about The Fall. Chapter 3 is a foundational chapter of the Bible to understand. From this chapter our history goes forward with sin passed on to every man and woman through the seed of Adam. 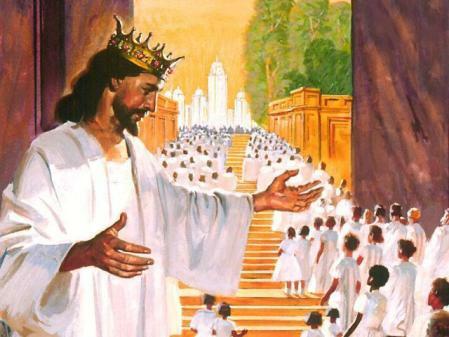 This sets the stage for God's pursuit of men and women in Genesis, followed by the Exodus from Egypt, the Laws, the judges, the kings, the prophets - and ultimately the final solution to the Fall: the life, death, and resurrection of Jesus Christ. (ultra-Cliff Notes version here... you'll get the full version of all of this over the next 363 days... :-) It is through belief in Jesus as Messiah that we are saved from what began here in Genesis chapter 3. The other problem of not realizing the existence of the devil or evil is that you can more easily be tempted and enslaved to bad habits and sins. So - I know I'm going on quite a bit here about this point - I just want to encourage you to ask yourself - do you believe in the existence of the devil? Do you believe in the existence of evil? Of temptation? Of sin? There is a remedy and solution to protect and keep you from all of this - and that is Jesus. But, it's possible that you may not run into the loving and saving arms of Jesus if you don't believe in the devil or evil. 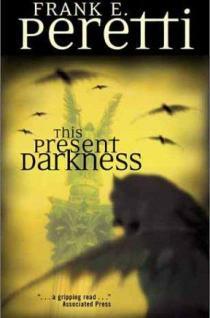 Second to last point - a book that did help open my eyes in a big way to existence of evil in our world today is Frank Peretti's "This Present Darkness". It is a Christian book and one that I believe will really bring home the seriousness of evil and temptation in our world today. You may want to check it out if you have questions on all of this. Also, C.S. 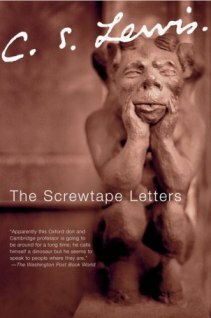 Lewis, in the intro to his incredible book about evil and temptation in our lives called "The Screwtape Letters" writes this: "There are two equal and opposite errors into which our race can fall about the devils. One is to disbelieve in their existence. The other is to believe, and to feel an excessive and unhealthy interest in them. They themselves are equally pleased by both errors, and hail a materialist or magician with the same delight." A great quote... and a great reminder to not have an excessive nor unhealthy interest in the devil or evil - this is of course extremely dangerous! And the bottom line is of course to turn your eyes and gaze toward God and Jesus for ultimate protection - and I do believe reading the Bible each day is one of the best ways to do exactly this! In verses 12 and 13 we see Adam and Eve passing the buck on why they sinned. Check out Adam's words in verse 12: ""but it was the woman you gave me who brought me the fruit, and I ate it." At first glance you might think that Adam is just blaming Eve in this verse, but note that he is also blaming God! "the woman YOU gave me..." Adam was blaming God and Eve - anybody but himself. How often do we do this in our lives? Blame others for our mistakes? The painting immediately below I think captures Adam's words and expression in verse 12 above perfectly! 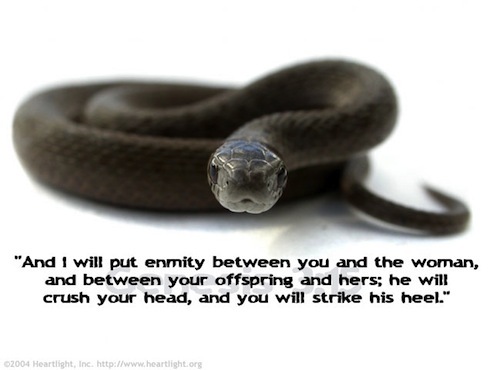 Verse 15 is a prophetic verse that carries forward to Jesus: "From now on, you and the woman will be enemies, and your offspring and her offspring will be enemies. He will crush your head, and you will strike his heel."" This last sentence refers to Jesus ultimately defeating the devil through his life, death on the cross, and resurrection! 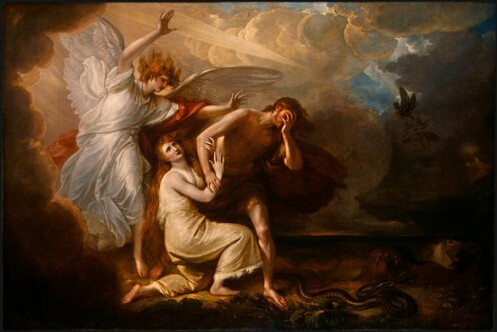 Genesis 4:17 - "Cain made love to his wife, and she became pregnant and gave birth to Enoch. Cain was then building a city, and he named it after his son Enoch." - brings up the big question of "Where did Cain's wife come from?" The short answer to this is that his wife was a sister, niece, great-niece, or family member of some sort, which brings up the next question about why was there inter-family marriage in the Bible. Let me refer you to 3 great website links to give you more in-depth answers on these questions. Please do read the short answer at this link, the long answer at this link, and another short answer at this link to these questions regarding Cain's wife. 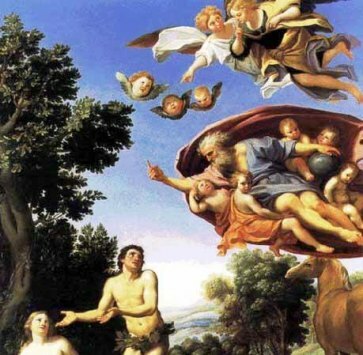 Bible.org's commentary on today's readings in Genesis titled "The Fall of Man" is at this link and "The Fruits of the Fall" is at this link. 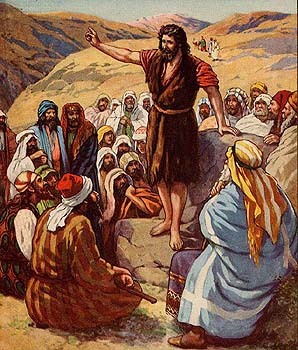 New Testament - In Matthew today we read about The Escape to Egypt. Two things stood out to me in Joseph's behavior in today's readings. In verse 13 an angel tells Joseph to "get up and flee to Egypt" - and Joseph responds by leaving THAT NIGHT with the family, as we see in verse 14. That's beautiful obedience. Then, in verse 21 we see Joseph respond similarly when he is told by an angel to return to Israel - he leaves with the family "immediately." I like this - Joseph is acting obediently to God's will in his life - and he is acting pronto! He's not sitting around worrying or fretting or thinking that he'll get to it tomorrow. He goes that night! He returns immediately! Can we learn from Joseph's amazing obedience in these readings? Is God calling you to do something in your life that you are hemming and hawing about? Is God calling you to forgive someone? To love someone? To serve someone? To encourage someone? Will you be like Joseph and obey God's call for your life immediately? 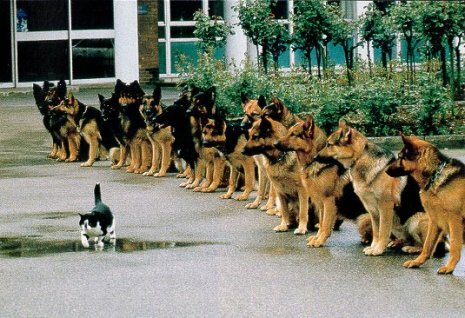 Since we've turned the new year, I hope you don't mind if I post up my favorite image demonstrating obedience below... :) Do you have obedience like this when it comes to God's will for your life? Today in Matthew chapter 3 we are introduced to John the Baptist! I don't know exactly what it is about John the Baptist - but I love reading about him and his life. He is just on fire for God and Jesus and he is encouraging others to get on fire too! I guess I like that in a person. :-) Another thing about John is that he is so focused on his mission to call others to repentance and to baptize them, that he really does not care about worldly things - like how he looks or what he wears or what he eats. None of that really matters to him. It is the message of the coming of Jesus that matters to him. Maybe it is verse 4 that really stands out to me about John: "John's clothes were woven from camel hair, and he wore a leather belt; his food was locusts and wild honey." I think this is really saying that John lived a simple life. He did not "major in minor things" - he "majored in the major thing" - Jesus! Is there something we can learn from John the Baptist in our lives today? Are you perhaps focusing too much on things of this world and not enough on God and Jesus? Are you truly loving God and loving people like John did? Or are you spending your life "majoring in minor things"? Will you instead "major on the major thing" that John is calling you to even today - complete passion and love for God: the Father, Jesus the Son, the Holy Spirit; and other people? Bible.org's commentary on our readings today in Matthew titled "The Slaughter of the Infants and Innocent Suffering" is at this link and "John the Baptist and Jesus" is at this link. Verses 11 & 12 in this Psalm are encouraging and also a strong warning for us at the same time: "Serve the LORD with reverent fear, and rejoice with trembling. Submit to God's royal son, or he will become angry, and you will be destroyed in the midst of your pursuits--for his anger can flare up in an instant. But what joy for all who find protection in him!" I think the closing sentence should be a huge encouragement to us. If we are seeking to love God and Jesus and other people with all of our hearts, mind, strength and souls - God knows it. And he will provide eternal protection for us. Yes, there will be suffering in this life - but joy can be found in knowing that we will have an eternity to spend with God and his royal son! Proverbs - Proverbs chapter 1 verse 7 is basically the mission statement for the entire book of Proverbs! 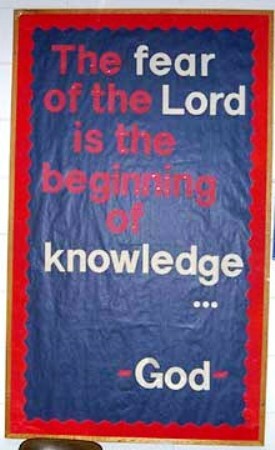 "Fear of the LORD is the beginning of knowledge. Only fools despise wisdom and discipline." What does this proverb say to you? Do you believe we should fear God? Bible commentaries define this fear of God as "a loving reverence for God that includes submission to his Lordship and to the commands of his words." Do you believe that fear of God is the beginning of knowledge in our lives? Will you embrace wisdom and discipline in your life? Will you make wisdom and discipline top priorities in your life in this new year? Has Jesus Paid It all for you? Click here to learn more! Prayer Point: Based on Proverbs 1:7, will you pray for wisdom and discipline in your life in this new year? Will you pray for a healthy and proper fear of the LORD? Will you pray for knowledge? Please pray that this year's One Year Bible journey will help you grow in all of these areas. Comments from You and Questions of the Day: What is your reaction to reading about The Fall in Genesis today? Is it painful to read about The Fall after reading about The Creation yesterday? If Satan was able to deceive Adam & Eve back then, do you think he still deceives people today? What is our remedy from the lies and deception Satan might throw our way? Do you believe reading and studying God's Word on a daily basis might be one remedy? What are some other remedies? (prayer, going to church, being in a small community group with others, etc.?) 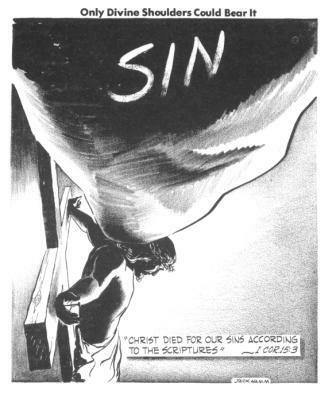 Do you believe Jesus has saved us from The Fall? Also, what verses or insights stand out to you in today's readings? Please post up by clicking on the "Comments" link below! Pride gets us into trouble every time. When our pride is kept under submission, we will not fall into the trap of trying to answer the question, “Can it really be that God has said…” We don’t have to see an actual snake or a guy dressed up in a red suit, pitchfork and a bifurcated appendage to get into trouble. In an attempt to appear all knowing and not left out of the loop, the woman went to a dangerous place, she tried to prove to someone else how close she really was to God. My desire is to clearly understand who I am in Christ and know in my knowing that what God has said is what is and not what someone or something else says I am. God should be the one telling me who I am and not man. We are reading through the Bible to find out who and what God says we are and what He has done for us. May we all have ears to hear and eyes to see His Truth. Why write all that and then put pictures over it so it can't be read. On the Blog I receive online, it seems this has just started happening. 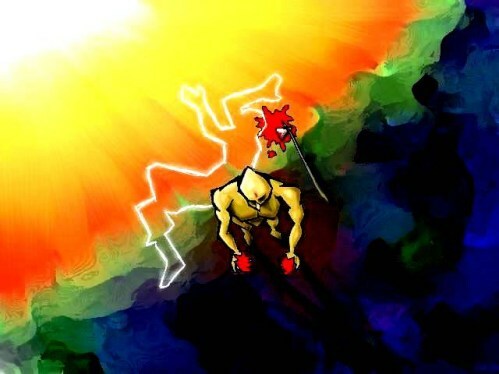 1)reaction of The Fall..for one...the Fall in inevitable, we are a fallen people-himans make mistakes- we are NOT God- shown through our actions and so we slip-it's our human nature. 2) It is when you see how serene it was before The Fall- but it was just a matter of time, not how it happened, but when-(the time and Fall was proven to show us we need a Saviour 3) Satan absolutely deceived people to this day-he's a master of his craft-lies and deception 4) counter balance with the Word-stay grounded. Yes, by reading, prayer, watching what goes in our eye, ear, gate and listening to that still small voice, staying connected with body of believers, we can be focused this yr and always. Be blessed! So I have a question and this may be nit-picking but here it goes. In Genesis 2:15 God took man and put him in the garden and gave him some rules about the trees to eat from and not to eat from. 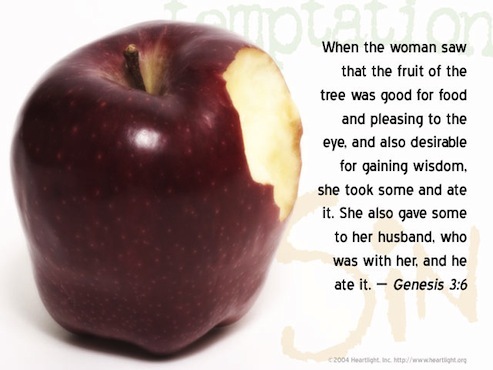 I have always questioned why did Adam take the fruit and eat it from Eve. He already knew that he wasn't suppose to and he just eats it without saying God told us not to. 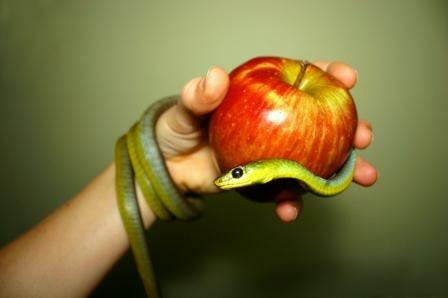 I haven't read in the scripture where God told Eve and I assume Adam told her because that is what she told the serpent. Please clarify for me because Adam came first and he knew and then Eve came after. This isn't a blame game either. Just need some other views on this subject.